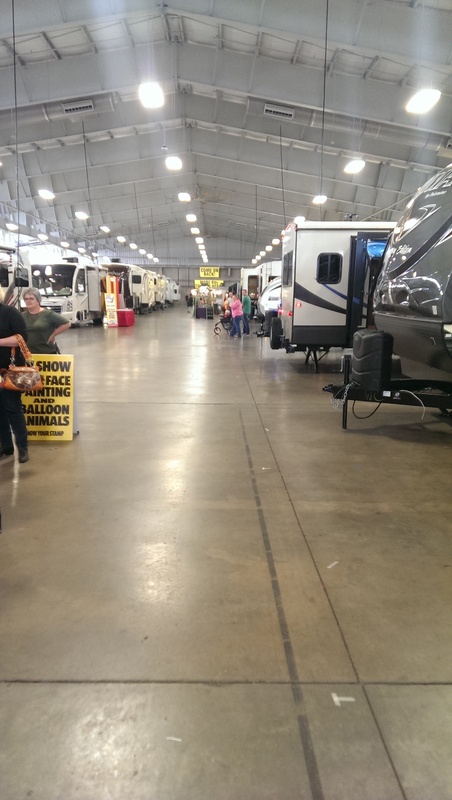 A few weekends ago we went to an RV show at our state fairgrounds. We were partly interested in going to keep the full-timing desire alive, but also to see if an SOB travel trailer could be another option. 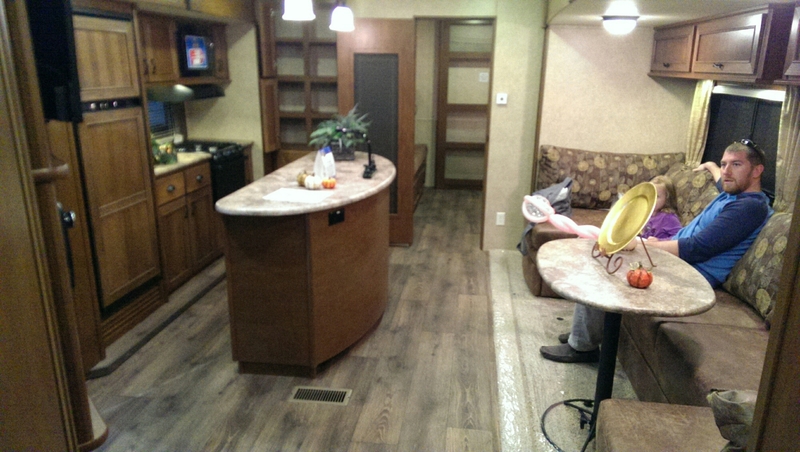 What we loved about some of the 5th wheels and travel trailers we toured is the space. They are so much roomier than most Airstreams. 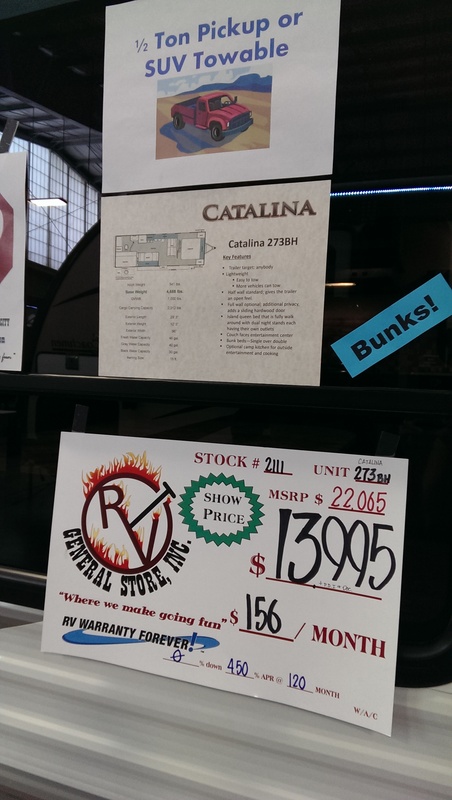 We saw some that have such a “large” kitchen that there are full-size appliances, a pantry, and even an island. We love to cook so it was easy to imagine that layout fitting our lifestyle nicely. 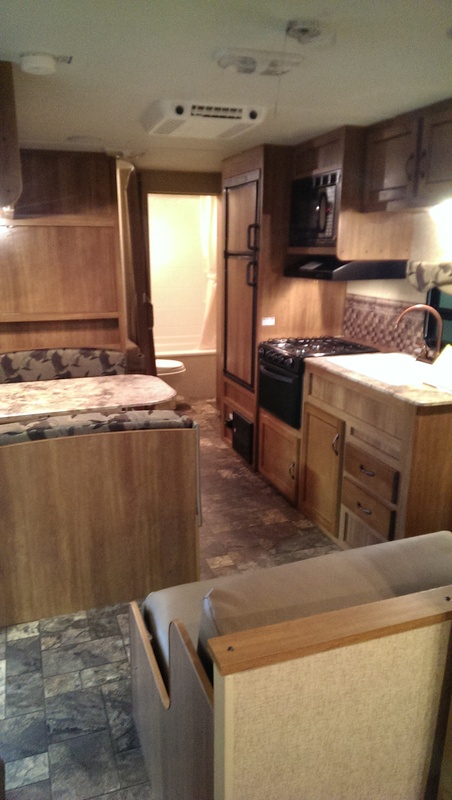 One of the more impressive trailers we saw is by Open Range and is part of the Light series. It had everything we could want: full-size fridge, bunk room for the girls and a separate queen bedroom. 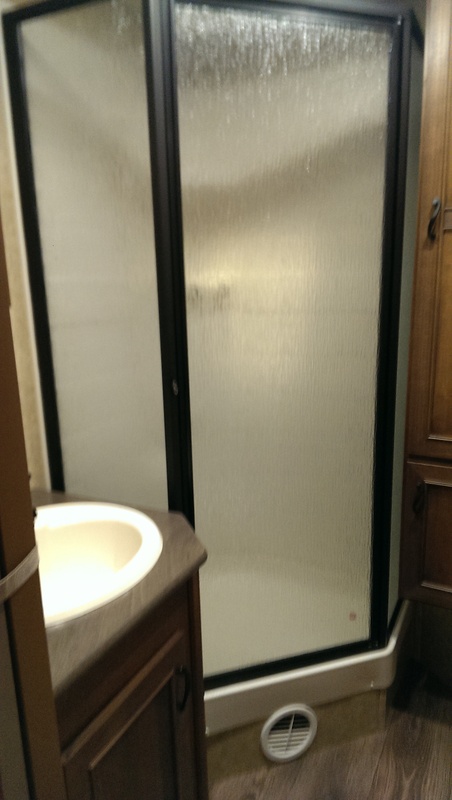 Even the bathroom was roomy! But the one we looked at was quite long, heavy, and had a hefty price tag. We found another travel trailer that we liked that was smaller and had a similar footprint to an Airstream Safari bunkhouse layout. It had all of the important elements, but still seemed manageable at 27′. I do wonder if it would feel confined after some time since it doesn’t have the large windows found more commonly on an Airstream. A few coats of white paint and new upholstery would improve it dramatically. But the best part? The price. and I think that will give me a much clearer picture. I’ll be going sans Kirk, so lots of pictures will be in order.